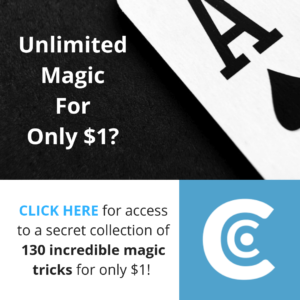 If you’re new to magic, then you could be forgiven for thinking that card tricks take years of practicing for hours every day, but I’m going to let you in on a secret. 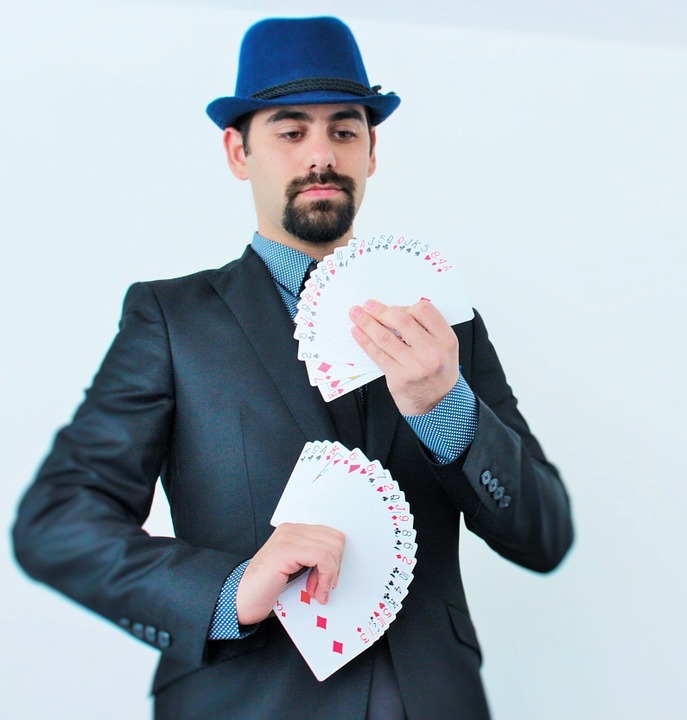 Okay, sure, some card tricks do, but the majority of card tricks that you’ll see (including tricks performed on TV shows like America’s Got Talent or by magicians like David Blaine) are actually very simple. The way to make them look impossible is all about your presentation of the effect. Today I will be breaking down one of the simplest card tricks that you can learn to do with little or no magic skill. I like to call it the Lie Detector, because you apparently guess the spectators card purely by figuring out if they are lying or not. First you shuffle an ordinary deck of cards. You let them pick any card. While they are looking at it, take a quick peek at the bottom card of the deck by turning the deck upside down. 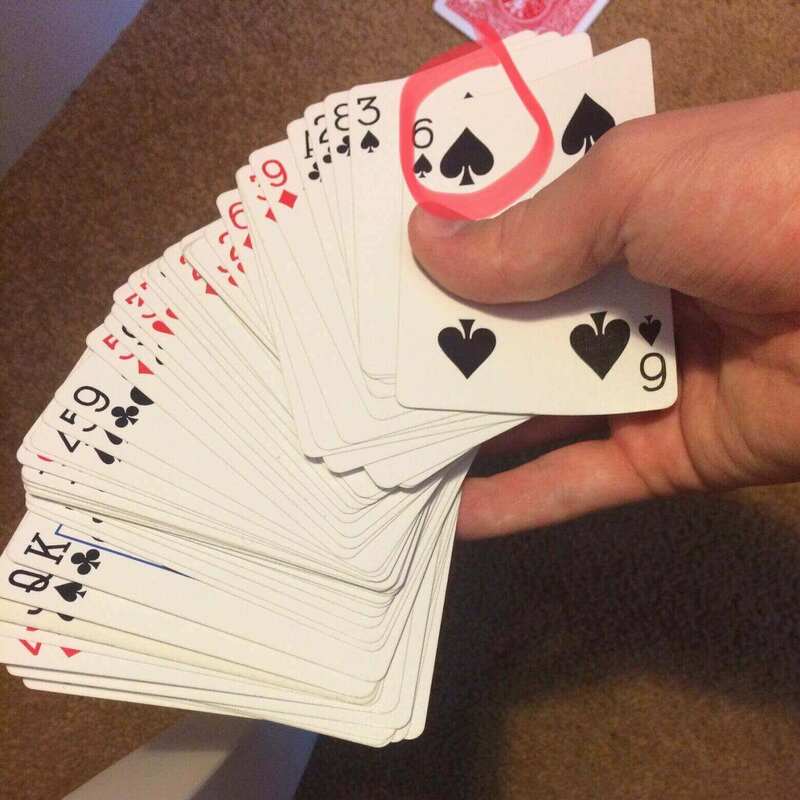 To cover this up, you could quickly spread the cards and say ‘as you can see, all the cards are different’. That way they just assume you turned the deck over to show them the cards, when in reality you are making a note of the bottom card. Now that you have that card in mind, break the deck into two halves. 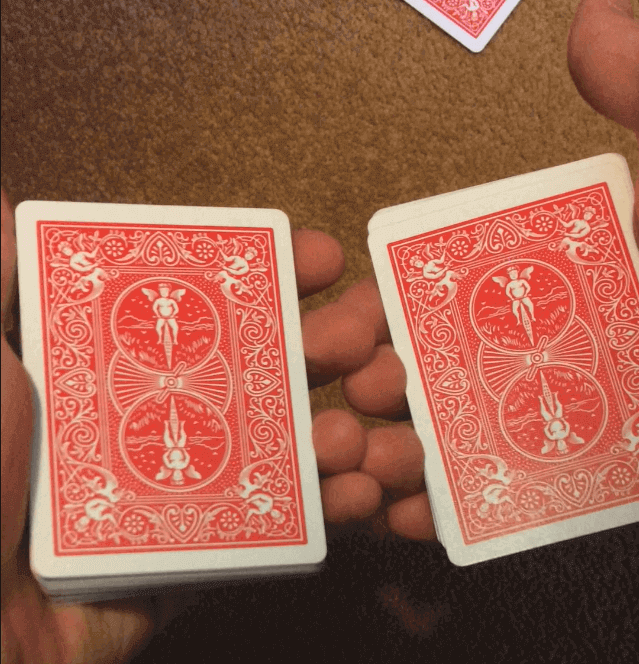 The half with the bottom card you glimpsed in your left hand, the top half in your right hand. Ask them to place their card ‘roughly in the middle of the deck’. At this point, offer the right pile to them, and allow them to place their card on top of the pile. Then bring your left hand over and drop the bottom half on top, meaning that your memorized card will be positioned directly on top of theirs. All you need to do now is see your card, and you will know that their card is the card beneath. Now, you need to emphasize to them that their card could be any card out of the deck, and you have no idea which. You turn the deck face up and spread the cards out as you speak, demonstrating that their card could be any one of the 52. As you do this, look for your memorized card. 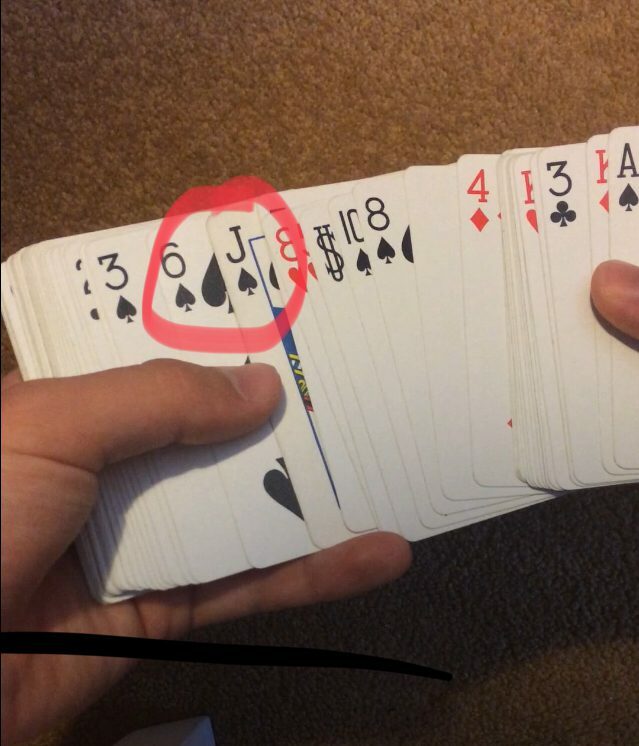 Once you spot it, look at the card beneath it (to its right if you spread from left to right, and to its left if you spread from left to right). Now you know their card (let’s say it is the Jack of Spades). Collect the cards up and invite the spectator to shuffle them. Explain to the spectator that you are going to perform a lie detector test to figure out their card. Tell them to say ‘no’ to every question you ask, and that you will be able to tell when they are lying and when they are telling the truth. First, ask them if their card is red. They will say no. Then ask them if their card is black. Again, they will say no. However, we know that their card (the Jack of Spades) is black. Try to think of a reason that they were either lying when they said it wasn’t black, or telling the truth when they said is wasn’t red. Maybe they blinked one time, but not another. Explain to them that you could tell it was a black card because of a reason like this. Now, ask them if it is Clubs, then if it is Spades. Again, we know it is Spades, so all you have to do is find a reason to tell them that you could tell it was spades. Maybe they couldn’t keep eye contact this time when you asked if it was Spades, because they were afraid you would catch them blinking again. Whichever way you do it, make sure you don’t make it seem too easy, otherwise the spectator will figure out that you knew their card all along. Once you’ve narrowed it down to spades, tell them you are going to count through the numbers one by one, starting at two and ending at ace (2,3,4,5,6,7,8,9,10,Jack,Queen,King,Ace). Tell them that this time they do not even need to say anything, and that you can guess which it is purely based on their body language and facial reactions. Go through the numbers slowly and look really closely at the spectator. At this point, you can choose how you want to reveal that you know the card. Maybe you stop just after Jack and tell them that you know it is the Jack of Spades. Or you could run through the numbers a second time, pretending to have a little difficulty to add to the credibility of the trick. And that’s it! It might have sounded a little wordy but in reality this is a really easy trick, however is still one of my personal favorites and among my most used tricks! 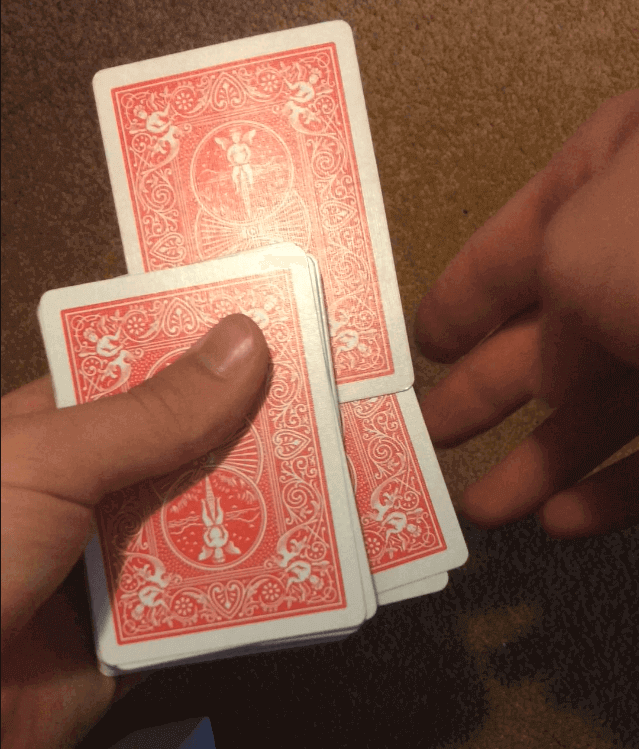 You could pair this trick with the Invisible Deck for great results. Once you finish the Lie Detector trick, tell them that you do not even need them to physically pick a card for the trick to work. Ask them to simply think of a card, any card at all. There is no possible way you could know this card. Quickly say ‘Red, Black, Hearts, Diamonds, Spades, Clubs, 2,3,4,5,6,7,8,9,10, Jack, Queen, King, Ace’. Tell them that by simply watching their face as you named possibilities, you have guessed their card. Tell them that you are going to turn over a single card within a deck as your prediction. Turn around and pretend to do this, whilst in reality you do not need to. Turn back around and pull out the Invisible Deck. Ask them to name their card for the first time. As they do so, spread through the cards. Sure enough, one card is face down in the middle. And of course, it’s their card. 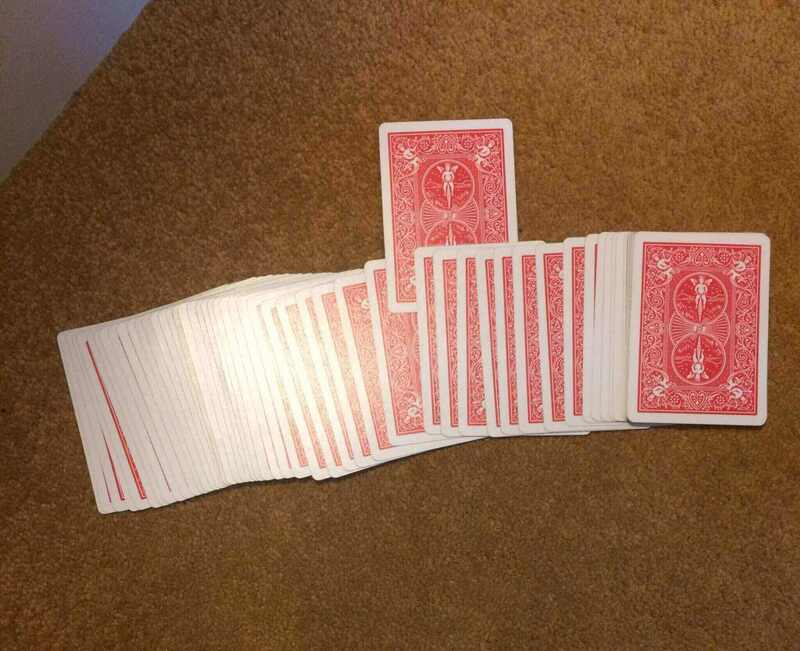 I know I haven’t fully explained how this bit works, but to find out more check out my review of The Invisible Deck (click on ‘magic reviews’ in the menu to find it). 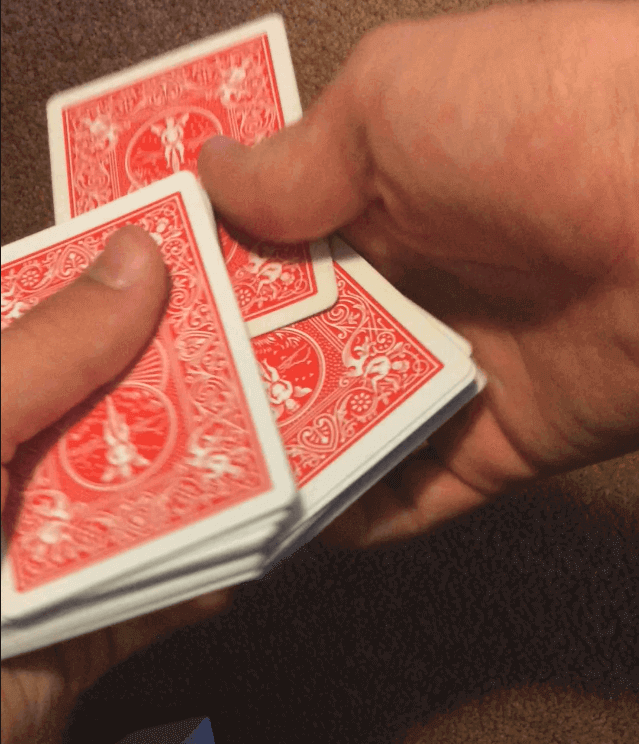 You could pair this effect with the card in the shoe trick for a great ‘kicker’ reveal at the end! If you have any questions or feedback regarding this tutorial, feel free to ask me in the comments below! Really interesting post, this one is. A card trick is on every magician’s magic menu, and sometimes a trick is so neat that your jaws simply drop at its neatness. But I always thought they are only tricks and not magic in the real sense of the word, and it takes days to perfect it. Like you say, it is all about the presentation by the magician that makes it look all so real. You have described a good trick, and it’s kinda funny when you do an audit of the steps that a card trick goes through. I’m sure in most of the cases, the answer is known by the magician in the very beginning itself but in order to make it look real and difficult, the audience is flummoxed by the manner in which the act is presented. Of course! One of the things that make a truly great magician is being able to take the simplest of effects and create an act that fools even the most sceptical of spectators.